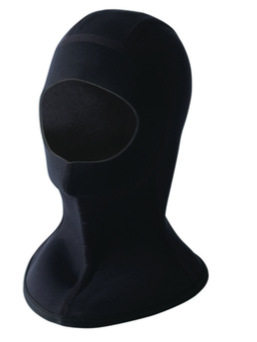 The black line hood 3mm offers thermal protection for warm or temperate water divers. Jako neoprene with an extended neck closes out as much water as possible to prevent it from circulating inside the hood. Technical features: 3mm thickness for temperate water thermal protection. Jako geoprene gives you the most comfortable fit. Extended neck minimizes water circulation. Aped seams give enhanced durability. Smooth skin inside for comfort and easy on and off.